An additional page has been added here to provide more pictures and shorten the download time. Thanks to Mitzi Brummel Moran, a native Union Citian who has not lived here for many years. 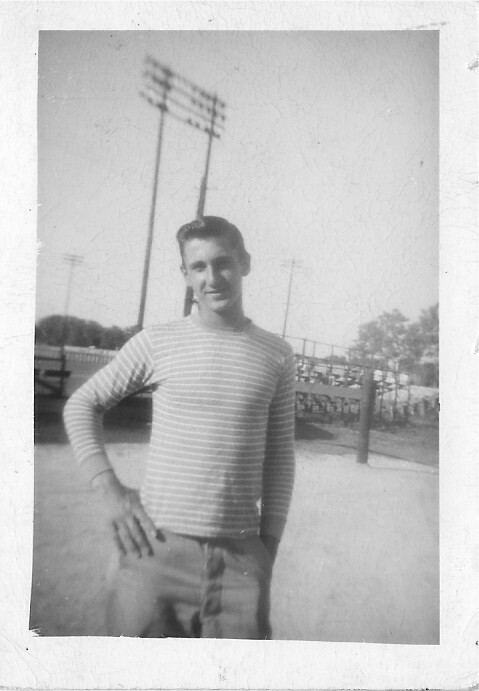 Mitzi is a former reporter for the Union City Messenger and she had retained some of these photos among her memories of those good times. 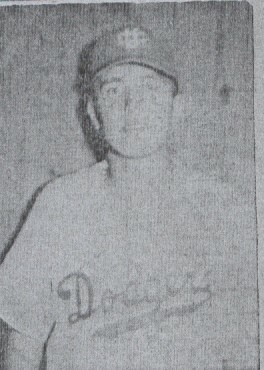 Other photos were provided by Spud Hale, pitcher on the 1955 Dodgers and current resident of Jackson, TN. Thanks to both of these fine folks for sharing. 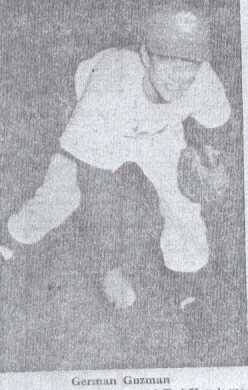 Tony Ciofani a member of the 1948 team. 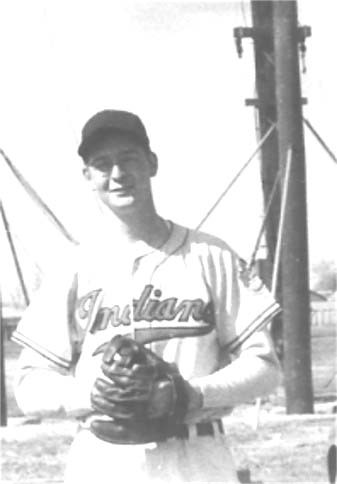 He played for Hopkinsville in 49-50 and Fulton also in 1950.
plays first or the outfield. Spud at his signing in Yorkville. 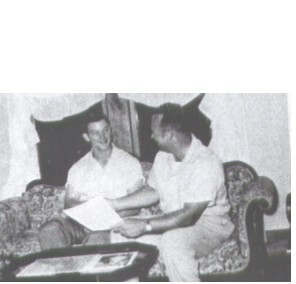 He got a bonus that bought a 1955 convertible that was in a wreck on the last day of the 1955 season. 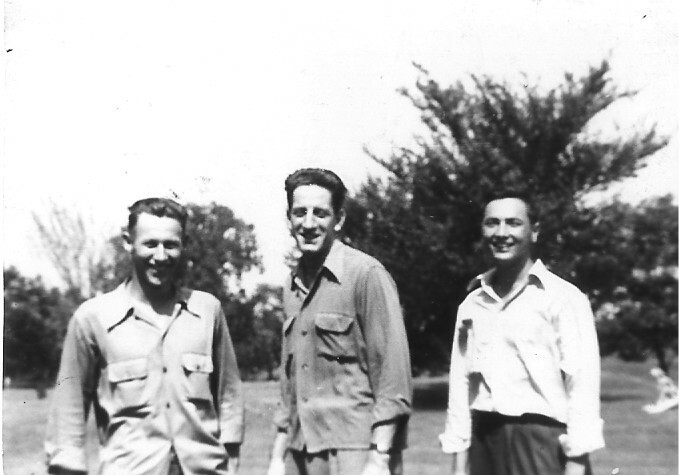 Teammates Bob Stepanek, Dutch Neuman, and Chuck Kristufek. 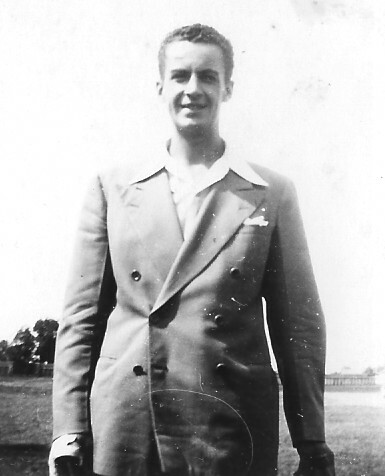 Bob played in 1946-7, Dutch 46-47-48 and Chuck in 47-48. The Dodgers present Miss Kitty League during the All-Star game 1954. The only All-Star game ever played at Turner Field. 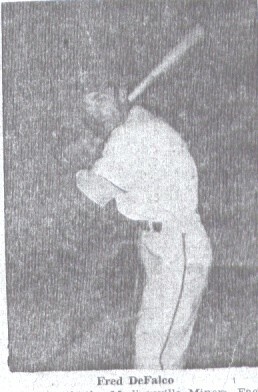 Ted Kazak pitcher in 1955. 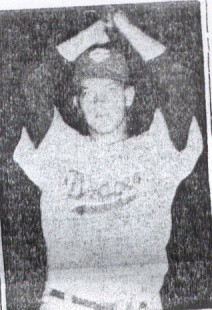 Fred DeFalco outfielder and body builder on the 1955 team..
Jimmy Ladd a rocket armed pitcher on the 47 team. 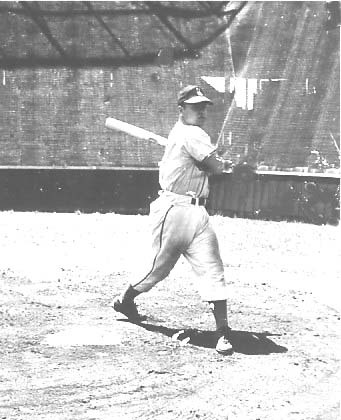 Danny Verdebar third baseman in 1946. 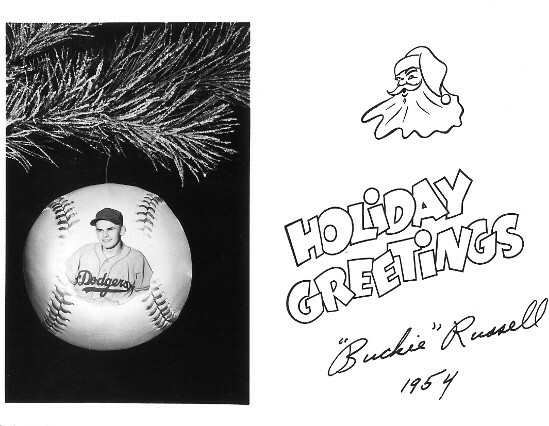 A christmas greeting from Buckie Russell a member of the 1954 Dodgers.